On Wednesday, February 1, Big Wes bassist Tom McCarty travels northward to join Jimmy Voegeli and Perry Weber (amazing members of The Jimmys) for Wednesdays with Wags (that’s drummer Tony Wagner) at The Wheelhouse in Waupaca. Come for the food, stay for the beer! (Central Waters on tap!) Also, rockin’ Blues music. 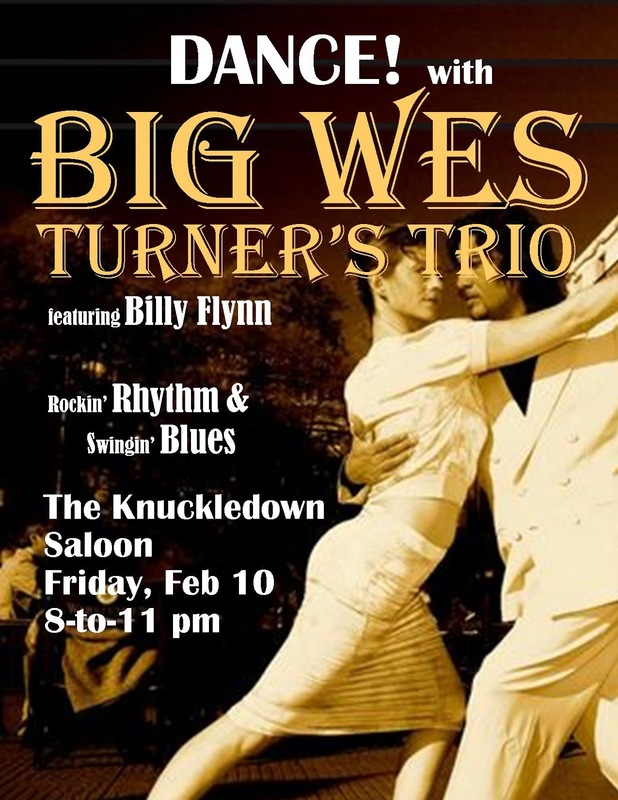 On Friday, February 3, Big Wes drummer Rick Becker batters his way into the hearts and minds of the hometown crowd at the Mazomanie Music Conservancy’s monthly first Friday concert. On Sunday, February 12, Tom signs up with Chuck Bayuk and The Drunken Sailors band to raise funds at The Harmony Bar and Grill. Parrot-heads on hand, no doubt. Warm up for Mardis Gras and support a good cause, ‘cause you know you should. 1 In our previous post, we DID make passing mention to the “arctic blasts” of January. Well, that business was quickly followed by a spring-like thaw. Bye bye snow cover. Thanks a lot filthy rich fossil fuel industry sheiks and barons and all the climate denying politicians bought and paid for by them! I want my winters back! 2 Correction: For those who may have spotted it in the Maximum Ink club listings, Big Wes Turner’s Trio plays at The Knuckledown Saloon on February 10, NOT January 27. Somebody’s hand slipped on the keyboard. Also, the dog ate our homework.